Step into Daniel Tiger’s Neighborhood—where Daniel and his friends help young children navigate their world, and parents guide their journey. Play, sing, explore, and pretend in some favorite and familiar places from the Neighborhood. Try a fun activity, share a memory, and create grr-ific new ones on this beautiful day! Take the time to thank someone who has done something special for you. Write or draw a thank you note and share it on the Thank You Tree. Make your own clock using numbers, gears and clock hands. Can your clock match the clocks on the wall? Step onto the stage and transform into your favorite neighbor. Costumes of series characters and examples of neighborhood helpers, like policeman and doctor, will aid in dramatic play. Hand-held face masks of the characters can complete the outfit. 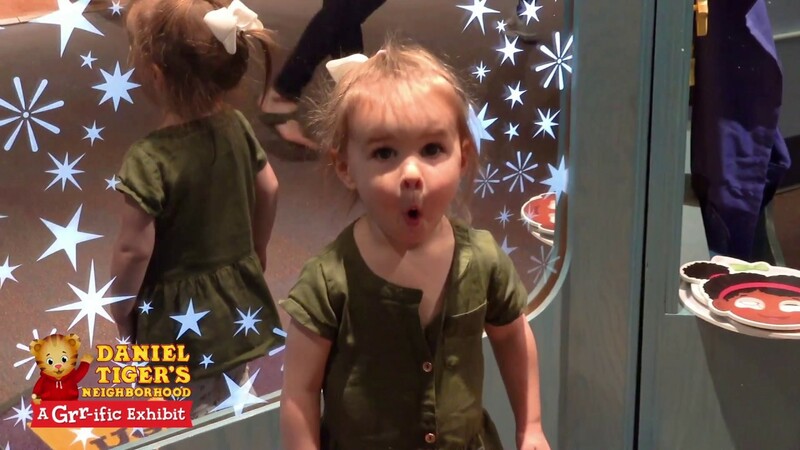 Once ready, take a step in front of the “Imagination Mirror” and see the moment sparkle. Express yourself through sound using various one-of-a-kind musical instruments. Be creative and compose your own song, or play along with others. Visit the Clock Factory where you can play with all different kinds of clocks. Work alone or together and be delighted when you make the clock begin to tick.